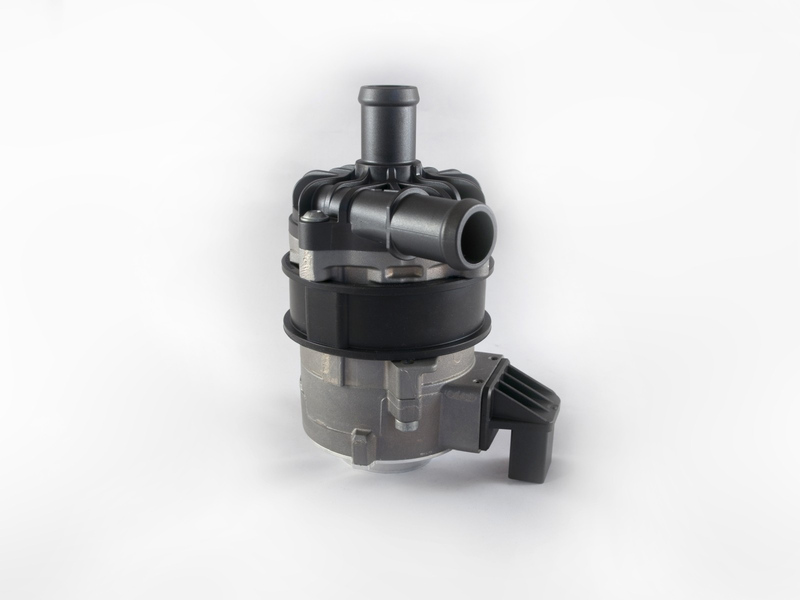 Product information "Pierburg CWA100-3 Water Pump"
Pierburg's new electric water pump in the medium capacity range. 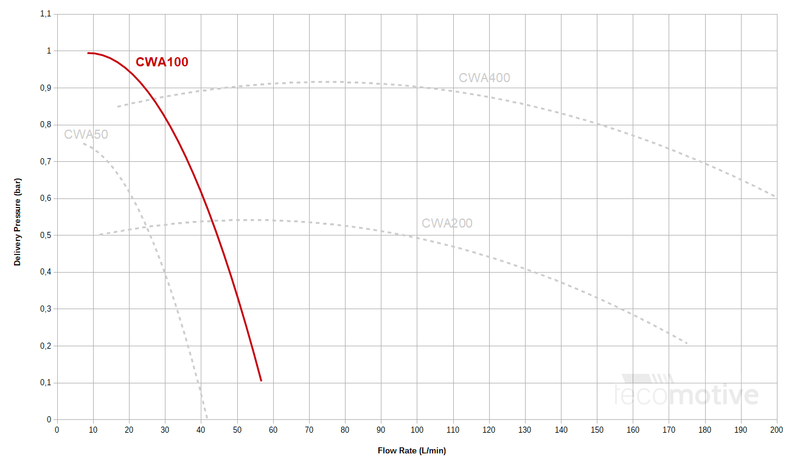 The CWA100-3 is a successor of the CWA100-2 we are also offering. The dimensions and the weight is nearly the same. 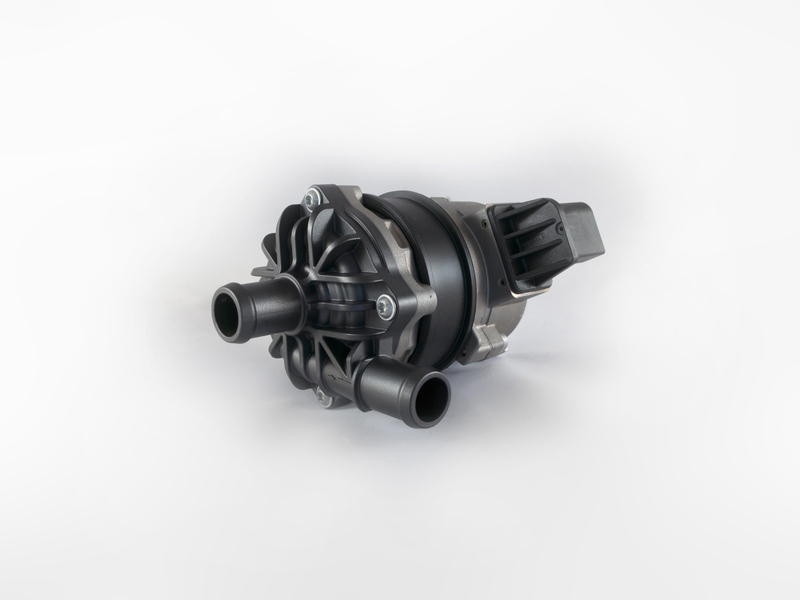 New is the freshly designed impeller housing with slightly shorter water in and outlets and the bigger electrical connector. This improves the handling of bigger cable diameters significantly. 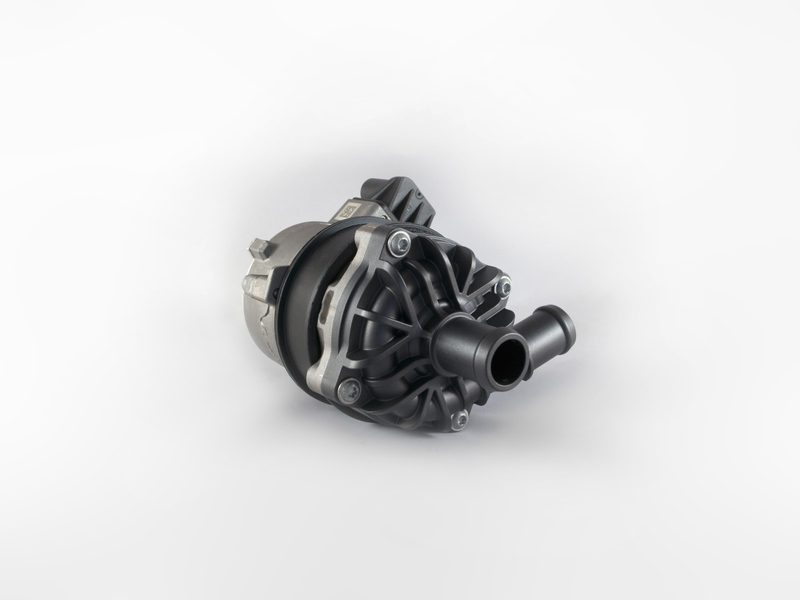 Suitable for instance for intercooling in combustion engine vehicles and cooling of various systems in electrical vehicles. * Pump pressure is not the same as the system pressure. in the range of 0.8 to 1.2 bar for instance. 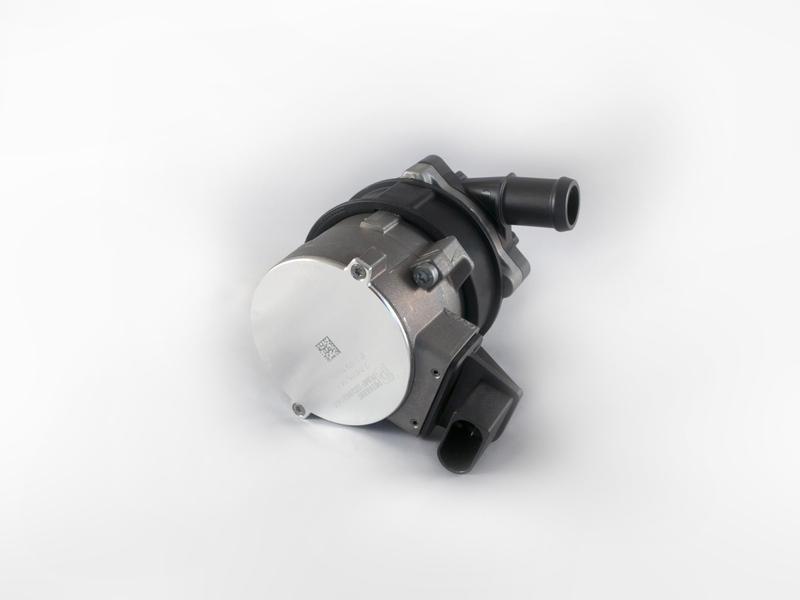 The pump pressure or differential pressure expresses the ´resistance´ of which the pump has to work against. 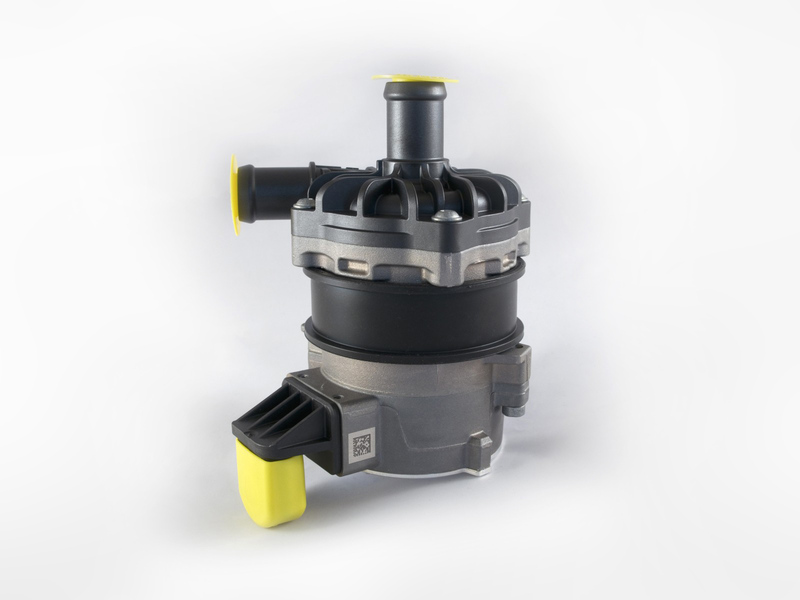 We will gladly provide you with our controller (tinyCWA) to control the pump. 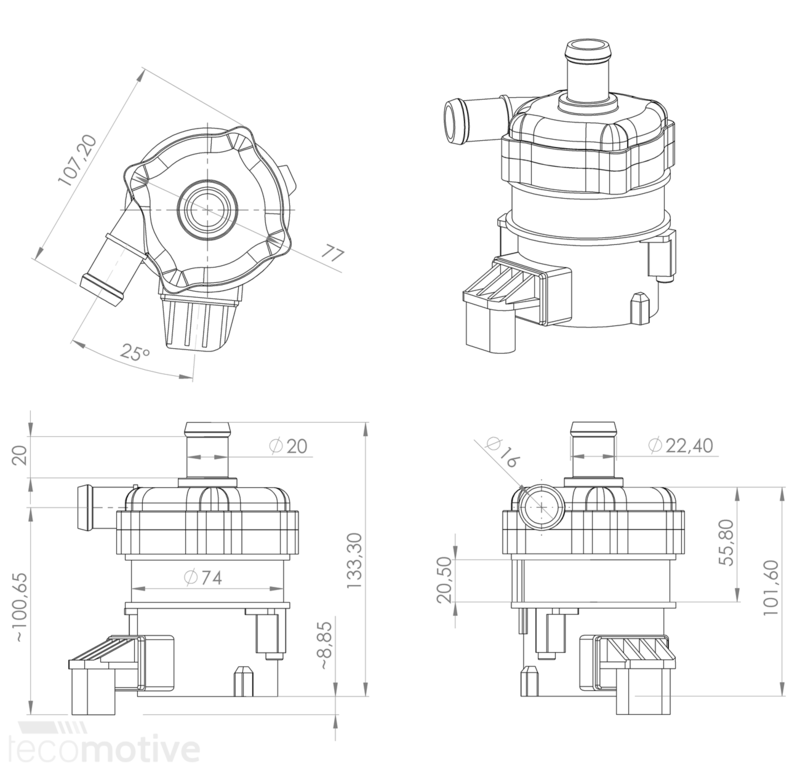 Related links to "Pierburg CWA100-3 Water Pump"